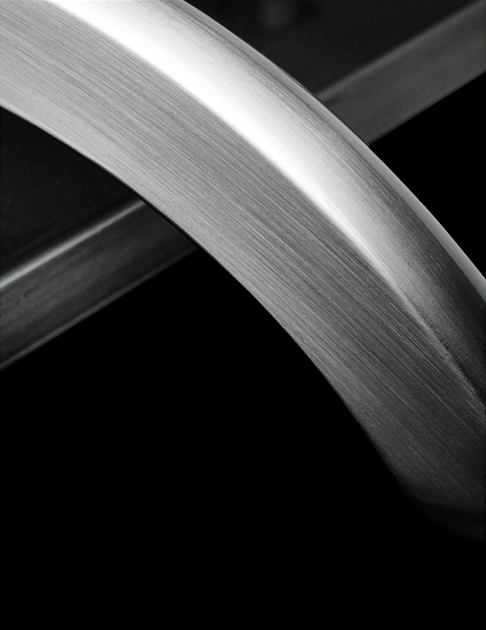 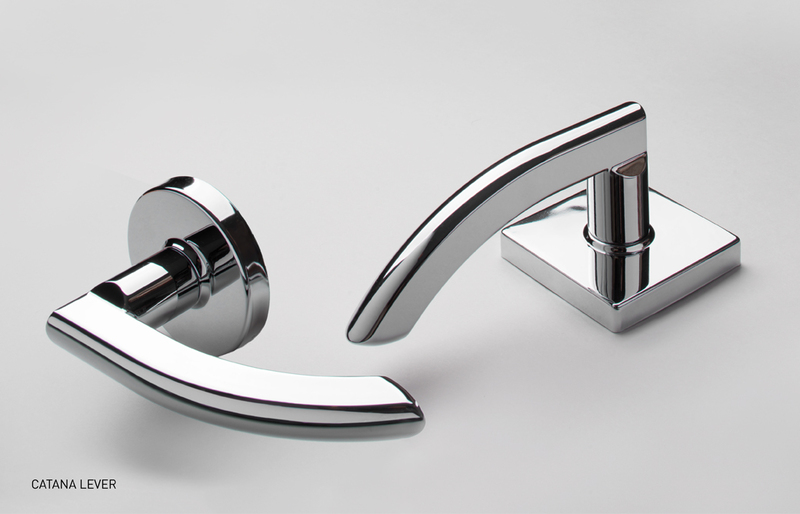 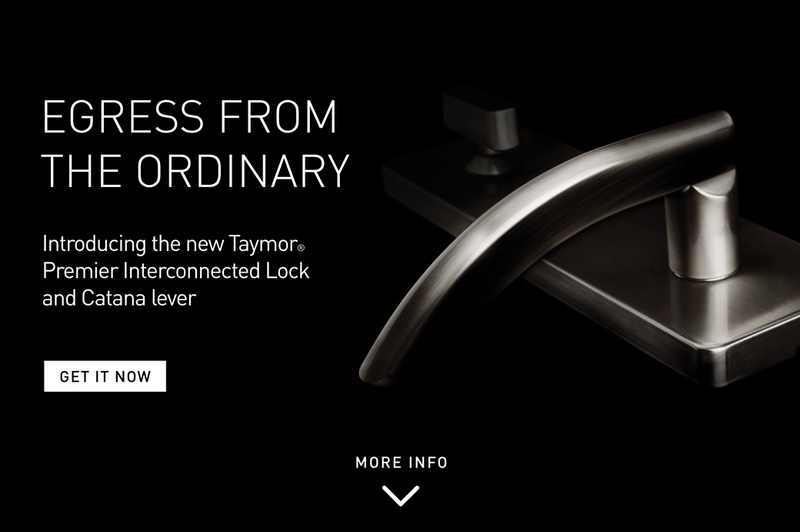 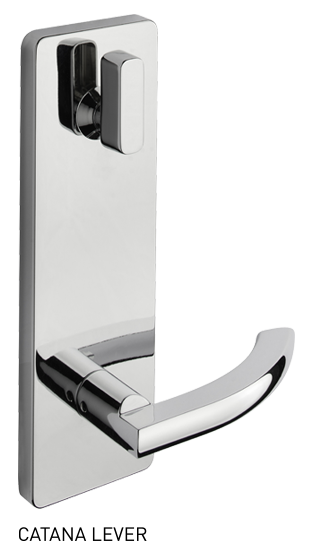 The Taymor Premier Interconnected Lock with the new Premier Catana lever features a curved design that returns to within 1/2” of the door face. 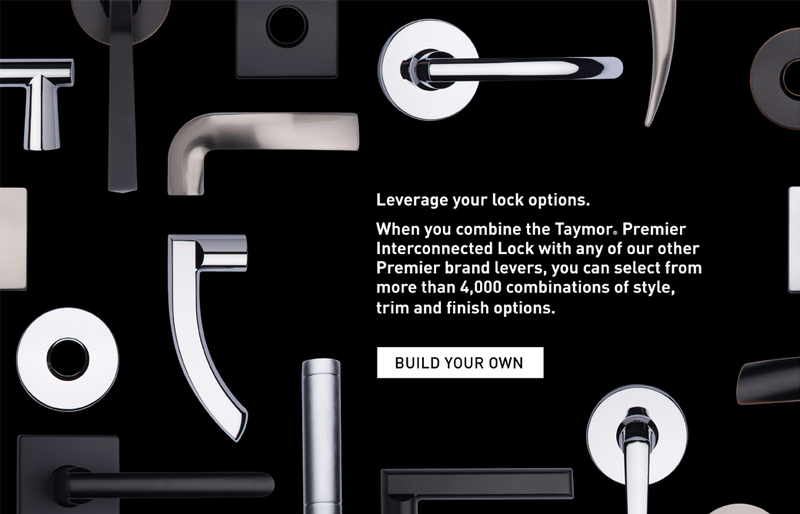 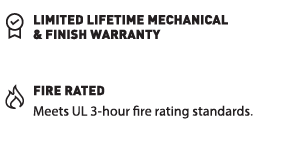 Ideally suited for multifamily housing; or anywhere single motion egress is required, the Taymor Premier Interconnected Lock with the new Premier Catana lever features a curved design that returns to within 1/2” of the door face and conforms to the California State Reference Code. 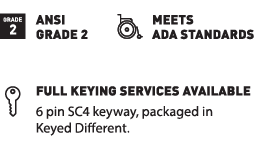 Quality-engineered and priced to bring superior value to building project needs, this lockset will be welcome in California and across the country.